Joint pain is a very common problem millions of people suffering from everyday. There are many possible causes but it's usually a result of repetitive movement, over-exertion, injury or arthritis. This remedy is very effective in relieve joint pain, it's anti-inflammatory properties is of great help to those suffering arthritis, gout, rheumatism, and muscle fatigue too. 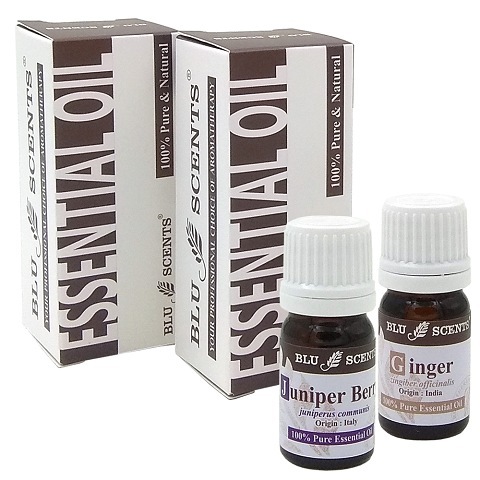 You can add few drops of essential oil to your hot bath or few drops in hot compress and apply to the affected areas. * Good for catarrh, congestion, chesty cough. * Aids flatulence indigestion & loss of appetite. * Excellent to boost the blood circulation. * Warming for muscular aches & rheumatism. 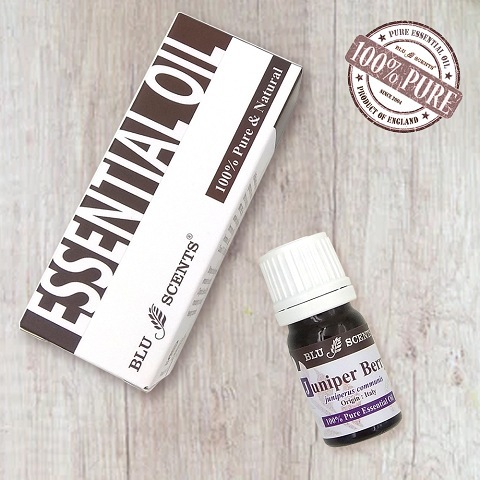 For bathing, add 5 drops of juniper berry and 3 drops of ginger pure essential oil to the warm bath water when the tub is 80% full. Close the door of the bathroom so the vapours don't escape. Soak for 20 - 30 minutes, breathing in deeply to get yourself relax. 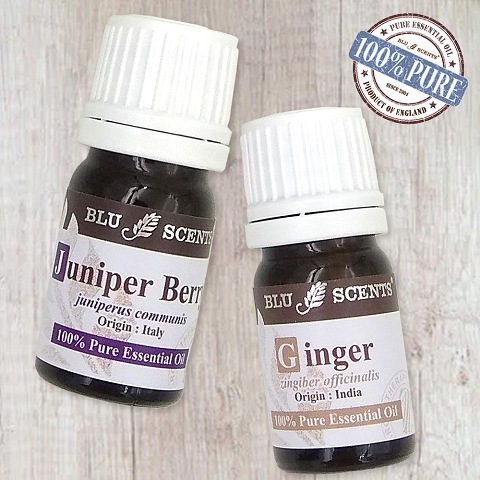 For foot bath, add 2 drops of juniper berry and 1 drops of ginger pure essential oil to a bucket of warm water, soak for 10 - 15 minutes, it is also one of the effective ways in improving your blood circulation. Add 3-5 drops of pure essential oil to hot water, soak the cloth, wring and apply to the affected areas. Dilute with carrier oil, such as almond oil or sunflower oil and massage. Don't massage to sore joints that hurts, just apply gently. However, if it doesn't hurt, a good massage can help warm the joints, increase blood flow and relieve the pain.